A medical exam provides you with the tools to prevent or catch any diseases or incongruities that you might have present in your body. Dr. Marina Gafanovich believes that having a regular exam is the key to the old adage “an ounce of prevention is worth a pound of the cure.” Most of Dr. Gafanovich’s patients understand her dedication to education and prevention because she instills in each patient the ability to want to stay healthy and the tools to do so. Timely medical exams are the key to maintaining a healthy lifestyle. What is an Internal Medicine physical exam? The medical exam is very much like a physical exam. There really is not much difference. Remember, this is the time to ask the doctor any questions you might have about the exam, or to give her information about your current health and to learn more about your body from the results of the overall testing. The exam is based on the principle of prevention and early detection. It is required for all adults age 18-65. These exams are also a time to receive any vaccinations or medication prescriptions. What happens during an primary physical exam? Your doctor will first have you record your family medical history, vaccinations, complaints and past medical history on a sheet. She will then take it, review it with you and ask you additional questions. During this time she is also going to be taking in the overall picture of your health. She is dedicated to your health the minute you walk in the door. Intake: Your health and family medical history are extremely important to the overall validity of the exam. The best NYC doctor for physical exams will brief you about possible new tests she might order based on your medical history. Each medical exam is going to be unique because each person is unique. Having a timely medical exam is an important way to maintain a consistent line of healthy living. During the exam the doctor may also pull up your past medical charts. Vitals: The doctor will then move on from your health history to testing your vitals. Vitals are measures of your body’s basic functions. They include temperature, pulse, heart rate and more. Temperature: The doctor will check your temperature to make sure that it is at the correct or average rate. If she detects a fever she may test you for other ailments. Blood Pressure: These tests are twofold, testing pressure and systolic pressure. This test rules out hearth health issues. Pulse: The doctor will also take your pulse from the radial artery. She will record the beats per minute here. Respiratory Rate: This rate varies with age but with most adults the range is only 12-20 breaths per minute, anything above that indicates a health problem. Overall physical appearance: your skin, the way you walk will be evaluated. Heart health check: The doctor will bring the stethoscope to your chest to listen to the heart and measure the strength of the heartbeat. Lung exam: At this point the doctor will then move the stethoscope to lung area and listen as you breathe. Head and neck exam: The doctor will be looking into your throat at your tonsils, and checking to see the overall condition of that area including your nose and ears. Abdominal exam: The size of your abdomen is then measured while the stethoscope listens to you bowels for unusual sounds. Neurological exam: The doctor will check you nervous system functioning by using a small medical hammer called a processor, that she can tap on your knee to trigger a reflex response. Dermatological exam: This exam is just a quick overview of the color and health of your skin and nails. The medical exam will include other tests, since it’s on a case by case basis. Are there any lab tests involved? Yes, in some cases the doctor will have lab testing involved. There are no standard tests, again each medical examination depends on the history and overall health of the person that is getting the exam. Some routine testing does occur. For example, the doctor may order a complete blood count, panel or urine analysis for some patients. Lipid panel: Recommended every five years. These tests detect the amount of good and bad fats present in your blood. Recent testing has shown that these are contributors to heart disease. Colonoscopy: Recommended for people age 50 or over. These tests detect the precessions of any abnormal tissues, and/or ulcers. If you have a history of colon cancer in your family these tests may be recommended at a younger age. Physical exams should be a part of an annual plan of every New Yorker. 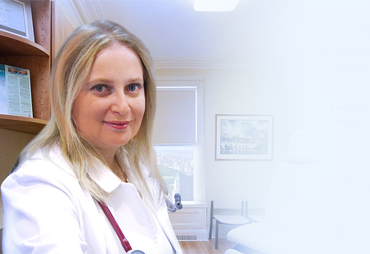 Visit Dr. Gafanovich in Manhattan to get a peace of mind in knowing that you are in good health. A timely medical exam is important the first step toward detecting disease. Remember to be completely honest with the doctor when she is gathering information about your family history and past. It’s just part of the entire process. We need to know about your past so we can treat you now. Copyright © 2019 Manhattan Physical Exams. All rights reserved.